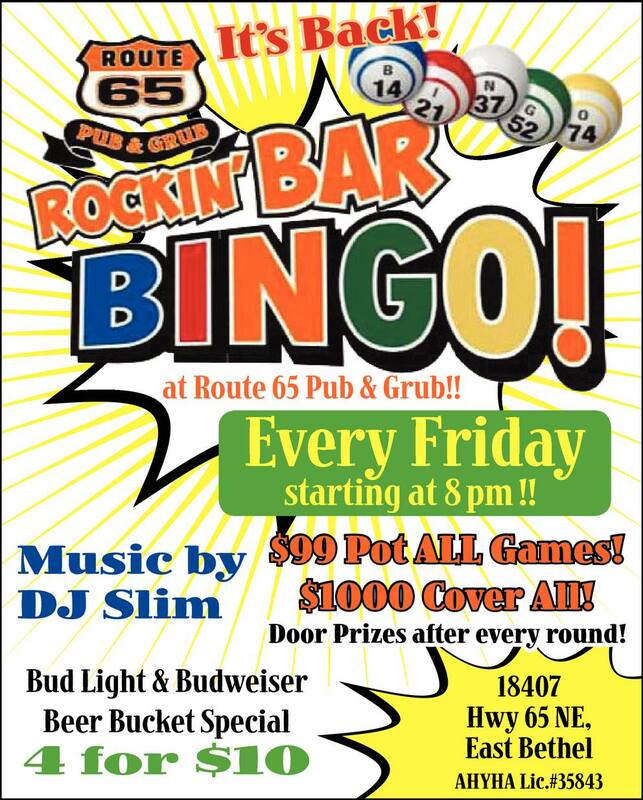 Come out every Friday night for Rockin’ Bar Bingo! Tons of cash and great prizes, plus great drink specials and a DJ. This isn’t your grandma’s BINGO!